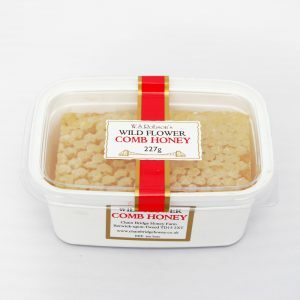 Enjoy this piece of new season’s heather comb in an attractive oval shaped tub. 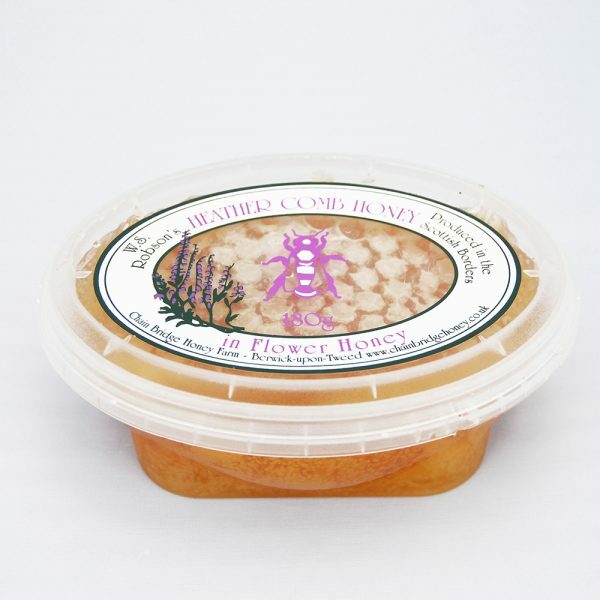 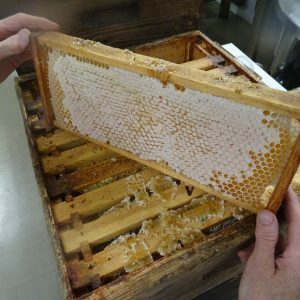 Cut comb surrounded with delicious clear flower honey. 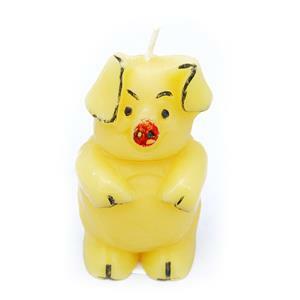 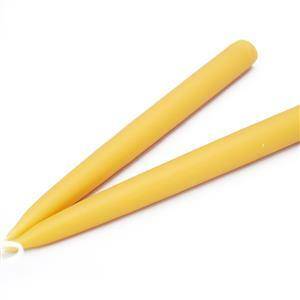 A wonderful treat for yourself or a suitable gift for a friend. 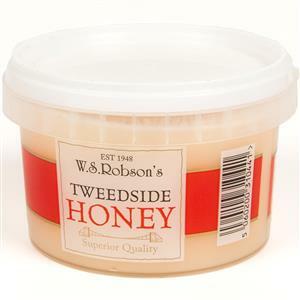 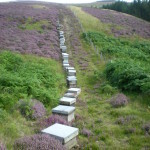 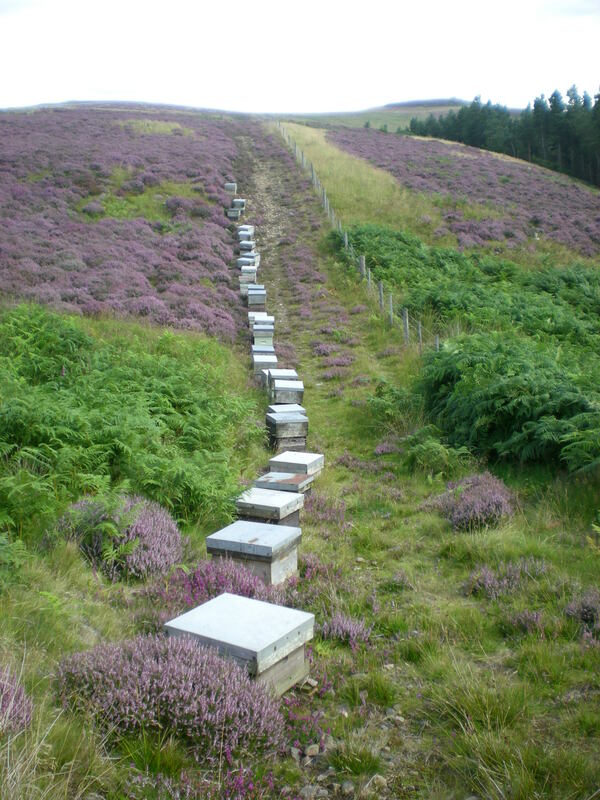 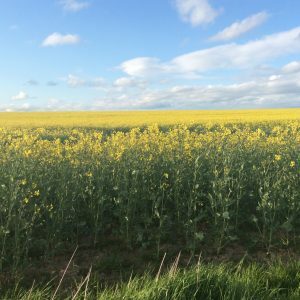 All our honey comes from our 1,800 hives situated throught Northumberland and the Scottish Borders.